The 42 albums gathered together for this box set were recorded between 1958 and 1982, during the tenure of legendary choir director George Guest, who defined the sound of the Choir of St. John’s College for more than a generation. The current director was one of Guest’s students in the late 1980s, and continues to speak with awe about the musical impact Guest had on his singers and organists alike. During the two and a half decades documented in this set, the choir’s repertoire showed an interesting tendency: towards the English (naturally), the Italian, and the German, with very little exploration of the French. Of the 42 albums, only two are dedicated to the works of French composers (Fauré’s and Duruflé’s Requiem Masses), and one pairs François Poulenc’s G-major Mass and a couple of motets with a Mass by Flor Peeters, while another is a collection of contemporary French sacred music. But no one sang English church music quite like this choir did, and their collection of English psalm settings is one of the most moving recordings I’ve heard in a long time; another highlight is the complete recording of a choral evensong service, complete with lessons and prayers. Does the choir’s style sound a bit dated to 21st-century ears? Sure, particularly on the earliest recordings. But these discs are never less than lovely, and the set would make a fine addition to any library’s classical collection. During his career at the Stockholm court, Finnish clarinetist Bernhard Crusell was not only a star performer in the royal orchestra, but also a fairly prolific composer of chamber and large-scale works featuring his instrument–as well as vocal music, including an opera. 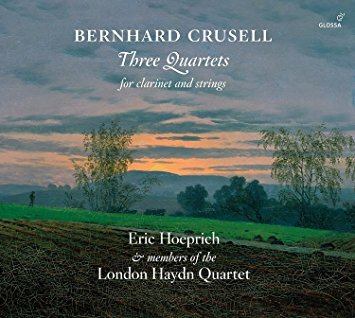 But it’s his clarinet music that remains popular, and this outstanding recording of three of his quartets for clarinet and strings demonstrates exactly why. Eric Hoeprich plays on modern reconstructions of the instruments that Crusell himself used, and the period-instrument performances of these three works perfectly convey the aching melodic sweetness that characterizes so much of Crusell’s work. The Prussian composer Heinrich Baermann was Crusell’s rough contemporary, but had a much different (and more traumatic) beginning; as a young military musician he was taken prisoner of war, and after escaping eventually made his way to Munich, where he served as a court musician for the remainder of his life. Like Crusell, he was known for his innovative virtuosity as a player, but was also a productive composer. 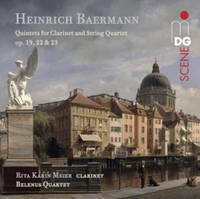 His quintets for clarinet and strings are, like Crusell’s chamber works, models of late-classical elegance and beauty–as are the modern-instrument performances here by clarinetist Rita Karin Meier and the Belenus Quaret. Both of these discs are highly recommended to all classical collections. 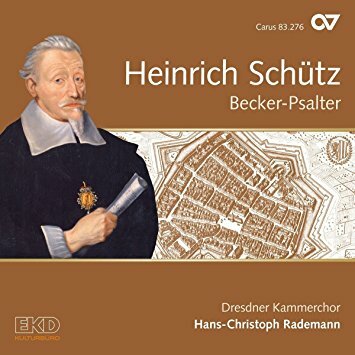 For the 15th volume in its ongoing project to record the complete works of Heinrich Schütz, the Dresden Chamber Choir turns to Schütz’s musical settings for the rhyming versions of the Biblical psalms originally published in 1602. Schütz’s music for congregational worship is less well-known than his larger-scale liturgical and sacred concert works, and the choir sings these psalm settings in a plainspoken, restrained style that fits perfectly the foursquare harmonies and hymn-like rhythms. Both the choir and the soloists are superb. If I’m reading the packaging correctly, this marks the third time this outstanding recording has been issued: first in 2001, then a 2009 reissue, and now another in 2017. 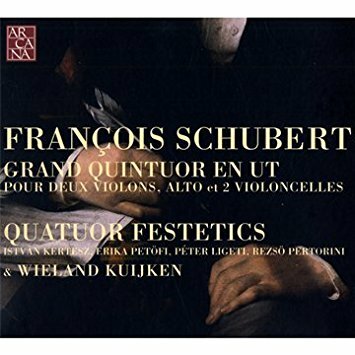 Well, whatever it takes to keep it available on the market is fine with me–Quatuor Festetics (helped out by the redoutable Wieland Kuijken on second cello) do their usual brilliant job, and as always with Schubert, the use of period instruments casts a fresh light on this masterwork of the high Romantic period–which was nearly lost to history, having languished in a publisher’s archives for 25 years before finally being published in 1853. Your library may already own several recordings of this piece, but if you don’t have one of the earlier releases of this particular performance, be sure to snap this one up before it goes out of print again. These three sonatas for flute and piano are actually transcriptions — they have their origins as string quartets (from opp. 74, 76, and 77) — and as such, they represent a significant moment in the history of classical music, one at which the practice of transcribing chamber versions of larger-scale pieces began to shift from the simpler approach of reducing an orchestral score to a piano part and leaving the soloist’s part largely unaltered, to one in which significant music re-analysis was required. The transcriber is only known in the case of one of these sonatas (it was August-Eberhart Muller, a student of J.C.F. Bach), but all three are masterful. The performers use a wooden flute (though not a baroque-period model) and a turn-of-the-century Erard piano, and both the performances and the recorded sound are exquisite. 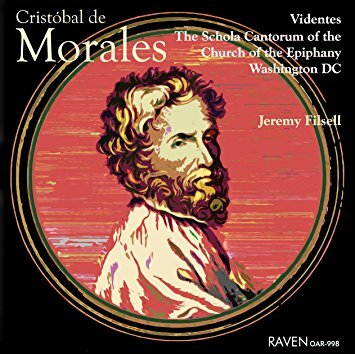 Everyone knows Tomás Luis de Victoria, and a lot of people know Francisco Guerrero, but Cristóbal de Morales remains criminally underappreciated as a major figure in the development of choral music in 16th-century Spain. In the works presented here (several motets and chansons interspersed with the sections of his “Mille Regretz” parody Mass, plus two organ interludes and a Magnificat setting), you can clearly hear him integrating the influences of earlier Spanish composers with those of the Franco-Flemish school, and the result is brilliant. The singing is excellent on this recording, though the recorded acoustic is just a bit dull. Recommended to all early-music collections. Obviously, J.S. 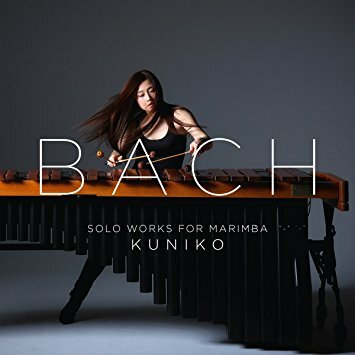 Bach didn’t write any solo works for the marimba — these are transcriptions by the always-amazing Kuniko Kato, whose previous albums have included arrangements for marimba of works by Steve Reich, Iannis Xenakis, and Arvo Pärt. 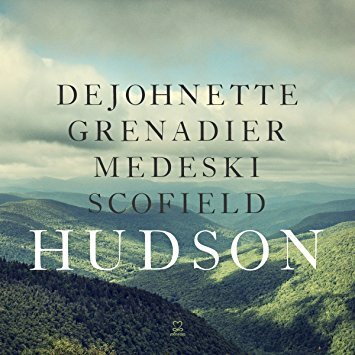 Here she takes a deep breath and confronts the granddaddy of keyboard masters, transcribing and performing arrangements of three cello suites, three violin sonatas, and the opening prelude from The Well-tempered Clavier. 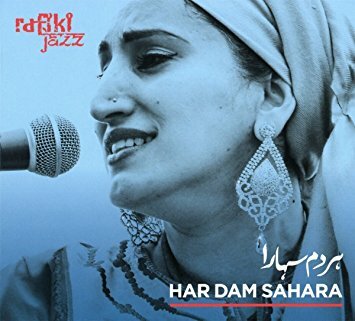 As always, her playing is masterful–not only her sheer technique, but also her emotional investment; her love and admiration for this music is expressed almost viscerally. There may be moments when you wish the marimba’s attack were a little bit sharper and the note separation more distinct, but there is never a moment when the music isn’t beautiful. For all classical collections. Brahms’ third string quartet is a thing of wonder and delight–emotionally effusive but also light and joyful, and gorgeously lyrical. 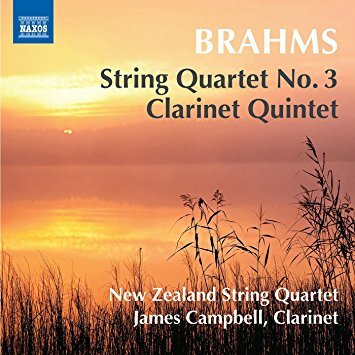 The New Zealand String Quartet performs it here with equal joy as well as technical mastery, and the result is a revelatory interpretation. The clarinet quintet conveys a somewhat darker and more aching mood–understandable, I suppose, since it was written at the very end of Brahms’ life and is among his last chamber works. Here as well, the performances are simply wonderful. 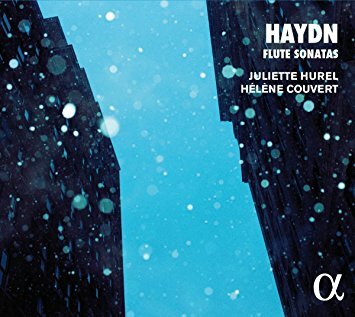 This disc would make a welcome addition to any classical collection. Never a soft touch for 1960s nostalgia, I nevertheless picked this album up with eagerness based on the musicians involved: guitarist John Scofield, keyboardist John Medeski, bassist Larry Grenadier, and drummer Jack DeJohnette. Nor was I disappointed: alongside obvious song choices like “Woodstock” and “Up on Cripple Creek,” there are several originals and several surprises, and only a single disappointment: the too-radical deconstruction of “A Hard Rain’s a-Gonna Fall.” Everything else is alternately funky, thoughtful, jaunty, and sweet, and of course the playing is consistently phenomenal. 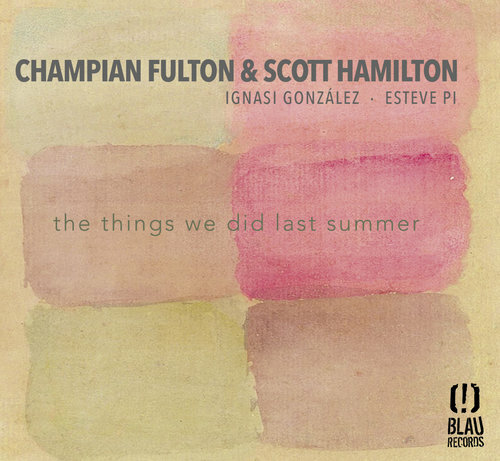 Pianist/singer Champian Fulton and saxophonist Scott Hamilton went on tour in Spain together last year, and decided to release some of the highlight performances from that tour as an album for the Spanish Blau label. The result is one of the most sparkling, spirited, and intensely swinging jazz releases I’ve heard so far this year. Not that it should be a surprise to anyone familiar with either of these artists, both of whom are steeped in and deeply dedicated to the straight-ahead jazz verities. Fulton’s singing slides all over the place, adding sly insinuation and jubilant emphasis to every phrase, while her playing nudges and propels everything along powerfully. Hamilton is his usual masterful self as well, and the overall sense of joy and laughter throughout this album will leave you with a huge grin on your face. You’ll wish you’d been there for these gigs, and very grateful they were documented. 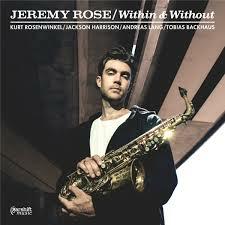 Saxophonist/bass clarinetist/composer Jeremy Rose is back for a third ablum as a leader with this very beautiful and rather abstract set of originals (plus one folksong arrangement), on which he leads a quintet that also features guitarist Kurt Rosenwinkel. The proceedings regularly step into swinging mode, but much of this music floats and drifts, sometimes almost arrhythmically. The challenge with this approach is not to let things drift into chaos, but Rose is a tremendously gifted composer and arranger and keeps things together with a firm but gentle touch. Very, very nice. 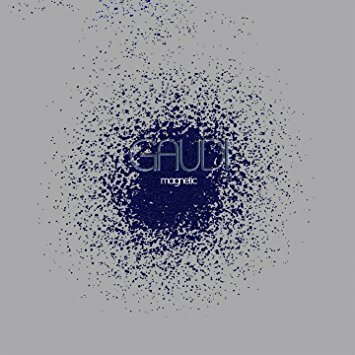 Gaudi is best known as an electronica artist operating in the overlapping realms of world beat and future dub, but for this album he took music from the RareNoise catalog and created something very different–a sort of jazz-rock-electro fusion that sounds like nothing else you’ve probably heard. These are not remixes of preexisting tracks, but rather reconstitutions of varied musical elements drawn from disparate sources and reconfigured into completely new structures. Featured musicians include bassists Bill Laswell and Tony Levin, guitarist Eraldo Bernocchi, drummers Pat Mastelotto and Steve Jansen, and keyboardist Roger Eno, among many others. The music has a much more organic and analog feel than one might expect from this artist. Recommended. 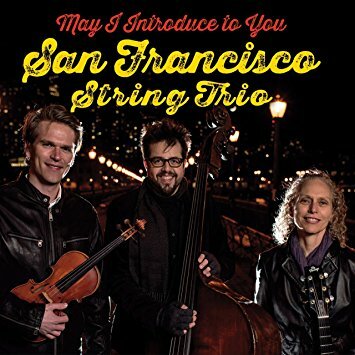 The San Francisco String Trio consists of violinist Mads Tolling, guitarist Mimi Fox, and bassist Jeff Denson–a truly all-star cast, which means that when you see that their latest album consists entirely of Beatles arrangements you have good reason to expect that the musical product will be of higher quality than is too often the case with projects like this. And sure enough, the arrangements are revelatory and the playing top-notch. In addition to making a powerful argument for the structural and melodic intelligence of Lennon and McCartney’s compositions, these interpretations also show how much you can do with them while still leaving them immediately (or, in some cases, eventually) recognizable. The tracks on which Denson sings are particularly fine. I’d call this one an essential purchase for library jazz collections. All too often, tributes to long-dead jazz giants turn into attempts to replicate the music they made. Such projects can be fun, but are seldom very interesting. 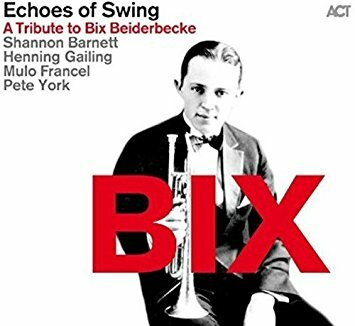 The Munich-based Echoes of Swing combo, however, has done something different with their tribute to jazz pioneer Bix Beiderbecke: they’ve taken songs that were associated with him and rearranged them in loving tribute not just to his own style, but to his creativity as a musician. Thus, we get a 5/4 setting of “I’m Coming Virginia,” a tango arrangement of “In the Dark,” and several original compositions by bandmembers that are inspired by Beiderbecke’s music rather than based on it. And just in case this all whets your appetite for the real thing, there’s a second disc consisting of historic recordings of the man himself. An outstanding package, overall. 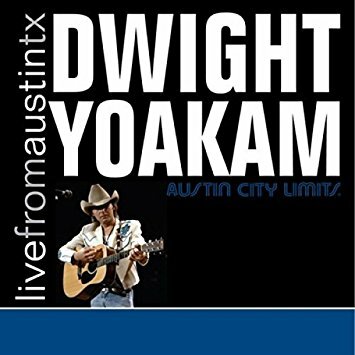 The two concerts documented on these CD/DVD sets were both performed in October 1988 on the PBS program Austin City Limits. 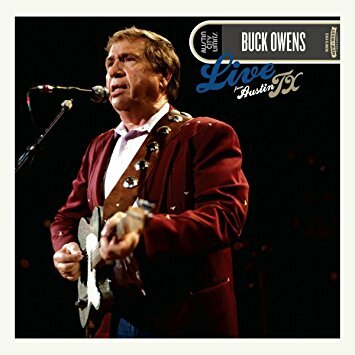 By that point elder statesman Buck Owens and up-and-coming honky-tonker Dwight Yoakam had become good friends, and each of them appears alongside the other: Yoakam joins Owens for a fine rendition of the classic “Under Your Spell Again,” while Owens (and norteño legend Flaco Jimenez) join Yoakam on a hair-raising performance of “Streets of Bakersfield.” There are no surprises here — Owens trots out his standard (and in his case, unfortunately very brief) set of hits, and Yoakam does the same. But the performances are intense and masterful, and the recorded sound is outstanding, and the companion DVD adds great value to each package. Any library with a country-music collection would do well to pick these up. 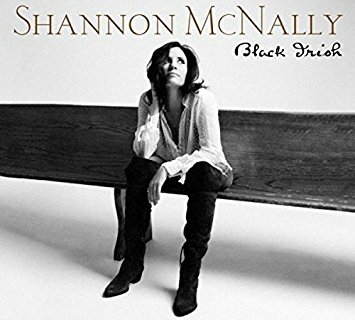 So her name is Shannon McNally and she’s titled her album Black Irish, which means you could be forgiven for expecting this to be a trad Celtic album or at least some kind of Irish-American folk-rock fusion thing. But no: this is straight-up rootsy Americana, sung with a Southern accent and played with bluesy authenticity and produced by Rodney Crowell. (And don’t be distracted by the fact that one of the songs is called “Banshee Moan”–McNally may be of Irish extraction, but she’s from Mississippi.) She covers Stevie Wonder, Muddy Waters, and Emmylou Harris over the course of an album that struts, drives, dances, and moans with winning authenticity and grit. Very nice. 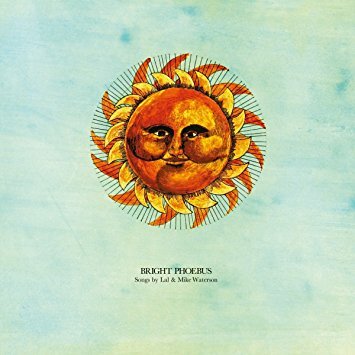 For those who think of the Watersons primarily as interpreters of traditional songs from the British Isles, Bright Phoebus will be startling. It certainly startled (not to say outraged) the English folk community upon its original release in 1971: consisting entirely of original songs written by some combination of Lal and Mike Waterson (and someone named “Collins”; that may be Shirley Collins, but unfortunately the materials provided with my review copy are very sketchy), and opening with the downright goofy skiffle-pop confection “Rubber Band,” this is an album that celebrates the siblings’ folk roots but is in no way defined by them. And make no mistake, the music is uneven–but some of it is chillingly, eerily gorgeous, and all of it should be considered an essential purchase for any library’s folk collection. 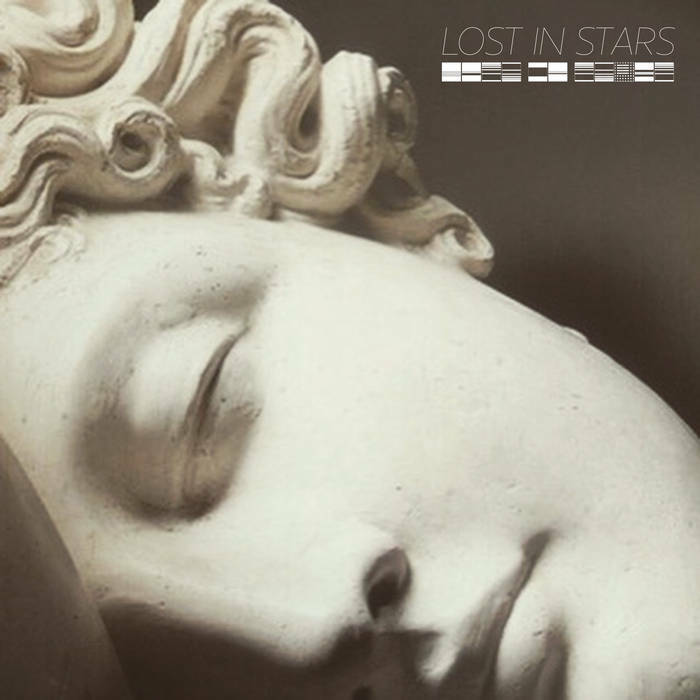 Lost in Stars is the London-born, Los Angeles-based keyboardist and songwriter Dylan Willoughby, whose debut full-length is a celebration of pretty much the entire scope of synthpop since 1980 or so. He engages the talents of singers like Alyso Lobo, Kid Moxie, and Darren Burgos, and they help him draw on elements of glitch-hop, dream pop, and techno, while delivering both his own lyrics and also covering both Bauhaus and the Bee Gees. This album is simultaneously deep and frothy, and it’s filled with delightful sonic surprises. Recommended to all pop collections. 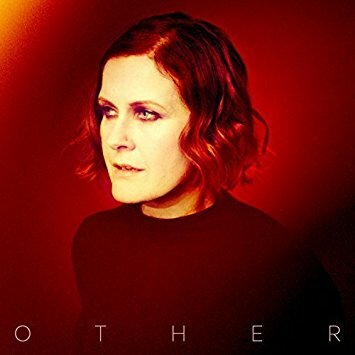 And in other synthpop news: just as she practically embodied the sound of 1980s synthpop during her initial rise to stardom (both in Yazoo and as a solo artist), so today Alison Moyet makes the sound of contemporary electronic pop music wholly her own. On her ninth solo album, she makes use of the darker, denser textures and more deliberate beats of 21st-century electropop and basically inhabits them and makes them sound like they were invented for her. Whether it’s the dubstep-inflected “I Germinate” or the more orchestral flavor of “The English U,” Moyet’s powerful contralto voice and genius sense of drama combine to deliver spine-chilling music. Highly recommended to all pop collections. In English parlance, the “home counties” are the suburban counties immediately surrounding London, from which commuters come into the city and to which they return after work. 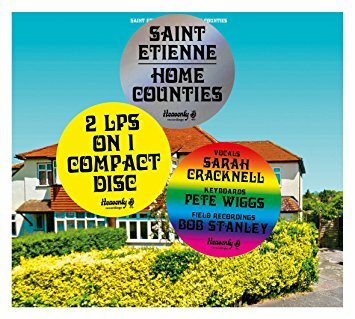 These suburbs are where the members of St. Etienne grew up, and on their latest album they celebrate their upbringing in all of its complexity–not only the complexity that lurks beneath the apparent banality of suburban life, but also the complex love-hate relationship that those who live in the home counties feel for their cities and towns. There’s nostalgia here (particularly in the music itself, which often harks back to the 1970s and 1980s), but there’s much more going on as well. Field recordings, for example, and crime-statistic charts. Like most of St. Etienne’s music, it’s sweet on the outside and a bit chewy on the inside. This two-disc set is basically two separate albums, one for diehard Tack>>head fans and the other for those who just like funky music generally. 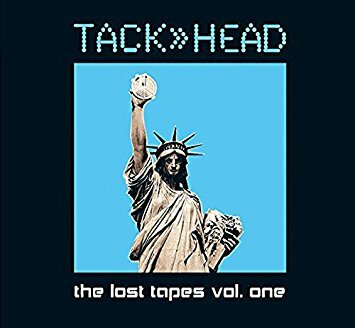 First, though, it’s important to understand that the core membership of Tack>>head was also the core membership of the Sugarhill Gang, the record-label house band that almost singlehandedly invented the art of hip-hop instrumental accompaniment. (Remember the song “Rapper’s Delight”? Yeah, that’s them.) In the 1980s they joined forces with the On-U Sound label and turned much more aggro, teaming up with folks like Gary Clail to try and overturn the established social order with funk. The first disc of this collection consists of previously-unreleased material drawn from their 1985-1995 years, much of it brilliant but some of it likely to appeal mainly to those who (like me) are already converted to the hard, take-no-prisoners Tack>>head sound and willing to listen to the band pound the crap out of a groove for six-plus minutes at a time. The second consists of remixes of several more recent Tack>>head tracks contributed by the likes of Victor Rice, C-Corps, Rob Smith, and Oliver Frost. These are the tracks more likely to entice the previously uninitiated. All of it is well worth hearing, though, and this set is recommended to all libraries with adventurous pop collections. 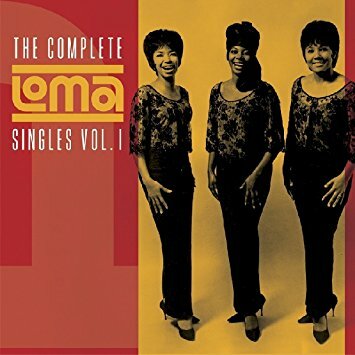 Even if you’re a fan of 1960s soul and R&B, it’s entirely possible that you’ve never heard of the Loma label. It existed for only four years (1964-1968), and released only 100 singles and a handful of albums during that time. But listen to this 50-track collection from its vaults (only half of which have been previously released on CD collections), and you’ll be shocked–how could music this fun, well-written, and powerfully performed have stayed below the radar for so long? No matter, it’s here now, and this is reportedly the first of four volumes of CD compilations that will eventually bring the whole Loma catalog back to market. Consider this an essential purchase for all library pop collections. 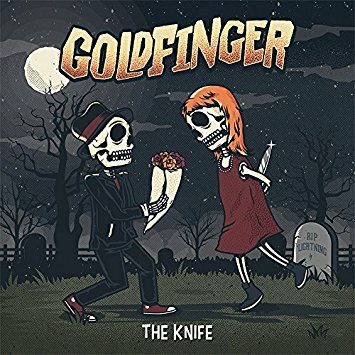 Nothing lightens your mood during an oppressively hot summer like a great pop-punk album, and no one does pop-punk quite as greatly as Goldfinger. It’s been seven years since their last effort, and this one feels like it’s been unleashed after being locked in a closet the whole time. The humor is self-deprecating, the occasional irruptions of ska horns and backbeats are thrilling, and the melodic hooks are monstrous. As with all pop-punk, it’s those hooks that matter most, and this album is absolutely jam-packed with them. Add this one to your collection fast, before the kids go back to school–they’re going to want to blast it in their cars while they can still drive with the windows open. I talk a lot in CD HotList about the quality and importance of the German reggae scene, but there’s outstanding roots reggae being made elsewhere in Europe as well–notably in Madrid, home of Bass Culture Players. 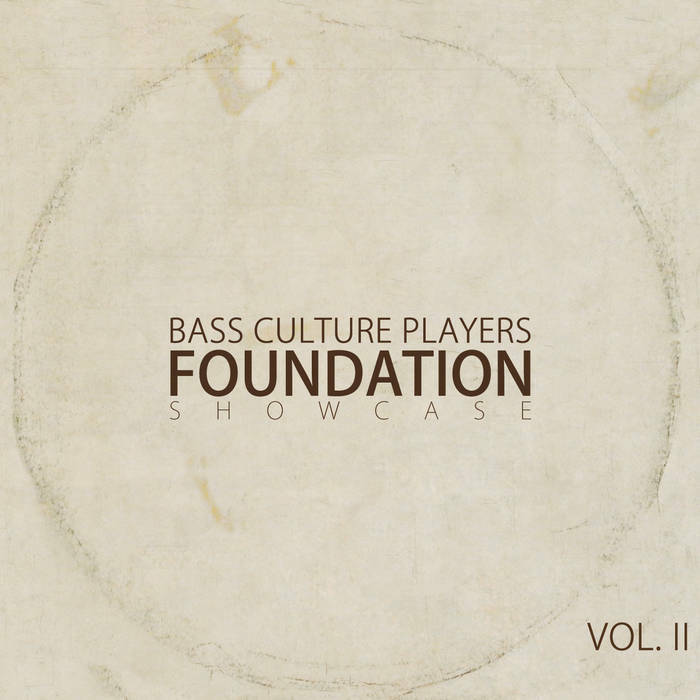 This collective produces some of the sweetest and heaviest traditional reggae to be heard anywhere right now, and this second installment in their Foundation Showcase series (the first volume is still available here) offers a program of tracks from the Discoinferno studio, all produced by local genius Puppa Shan. Six vocal tracks (two by women), each paired in showcase style with its dub version; the songs are all excellent and the production is expert. This is a soundtrack album, and it’s kind of a strange one–but in a good way. 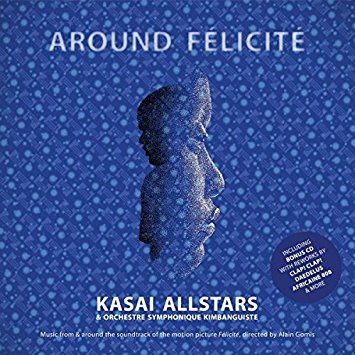 The film Félicité was actually inspired by the music of Kasai Allstars, one of the Congolese ensembles at the center of the current “congotronics” craze. The film’s music is by Kasai Allstars and centrally features the vocals of Muambuyi, but there are also interludes of arrangements by Orchestre Symphonique Kimbanguiste of pieces by famed Estonian composer Arvo Pärt, so go figure. And the CD edition of the soundtrack includes a separate disc of remixes by the likes of Clap! Clap! and Africaine 808. So like I said, kind of strange — and also quite gorgeous. While I’m a fan of many different kinds of multicultural fusion music, I’m not easily sold on the idea of multicultural fusion itself as an absolute good. To me, the proof is in the pudding, and it doesn’t matter how heartwarming the backstory or how politically well-intentioned the project, if the music doesn’t work it doesn’t work. So when this album was presented to me as “express(ing) the power and beauty of difference,” I was skeptical. When the music was described as blending “West African kora, Caribbean steel pan, Indian tabla, Brazilian berimbau, and Arabic ney and oud” I thought it sounded like it was going to be a multiculti mess. But this music works, and it works seamlessly. For example, you might not even notice the pans unless you were looking for them, so well-integrated are they with the other elements here–the central one of which is singer Sarah Yaseen. This isn’t jazz either, by the way–I’m not sure what you’d call it, which is part of the fun. Sitarist Ravi Shankar gained fame in the 1960s as a virtuoso interpreter of Indian ragas, but he was also a composer–and he wrote this musical-theater piece out of concern over the growing drug culture of the period during which he became a star. Its theme is “the forces that can dilute the world-changing potential of the artist.” The recording was originally issued on CD in 1990, but in a truncated version; this reissue restores the program’s full 80-minute length. Unfortunately, the package doesn’t include much information about the music or its original context–there are no texts in translation, and there’s little to guide the listener through the sometimes sudden shifts in mood and instrumental texture, shifts that would surely make sense in the context of the theater performance. 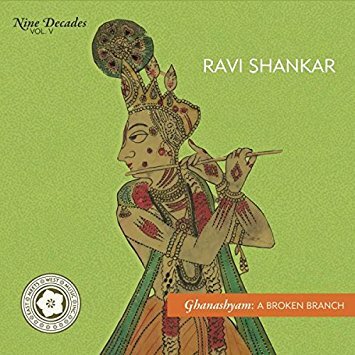 Still, the music is beautiful and any library that collects in South Asian music would be wise to pick this release up. In 1988, the signs were clear: civil war was about to break out in Somalia. Anticipating (correctly) that the radio station in Hargeisa would be targeted for destruction, staff and volunteers spent days smuggling cassettes and reel-to-reel tapes out of the station archives and taking them out of the country, in some cases even burying them deep in the ground to protect them from airstrikes. Think about that before you judge the sound quality of these salvaged recordings too harshly: yes, some of them sound a bit rough, but you would too if you’d spent much of your life buried underground in Djibouti. 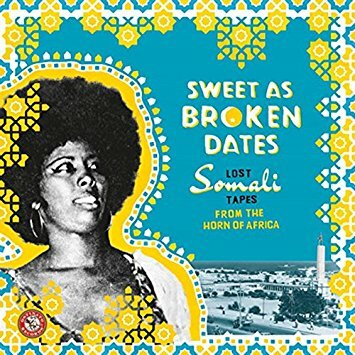 The songs preserved here represent a window on the Mogadishu music scene of the 1970s and 1980s, a time when popular culture was alive with international influences and was largely subsidized by the state. For libraries, this album is worth the price for the 15,000-word liner notes alone. 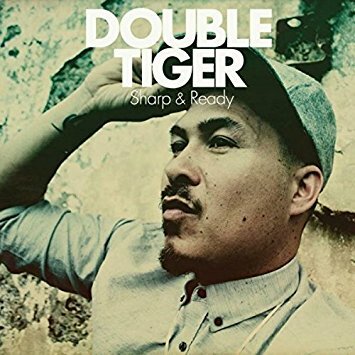 Double Tiger is Jay Spaker, currently best known as a recent addition to the outstanding John Brown’s Body and as co-founder of Brooklyn’s essential Dub-Stuy record label. His solo debut finds him purveying pure heavyweight roots and dancehall vibes, singing and toasting in a variety of styles. The liner notes seem to indicate that Spaker himself plays all the instruments and sings all the vocal parts on this album, apart from the contributions of a few friends and colleagues (including JBB bandmates Elliot Martin and Nate Edgar), which is pretty dang impressive–as is the production quality. An exceptional debut effort from a major young reggae talent. Posted in Uncategorized and tagged Lost in Stars. Bookmark the permalink.